It’s not often that a line of collectibles becomes so popular that they spawn a comic book series and take the cosplay community by storm in one fell swoop, but that’s just what DC Comics Bombshells did (truth be told, I was expecting the Gotham City Garage line of statues to follow suit, but it looks like they didn’t catch on as much). 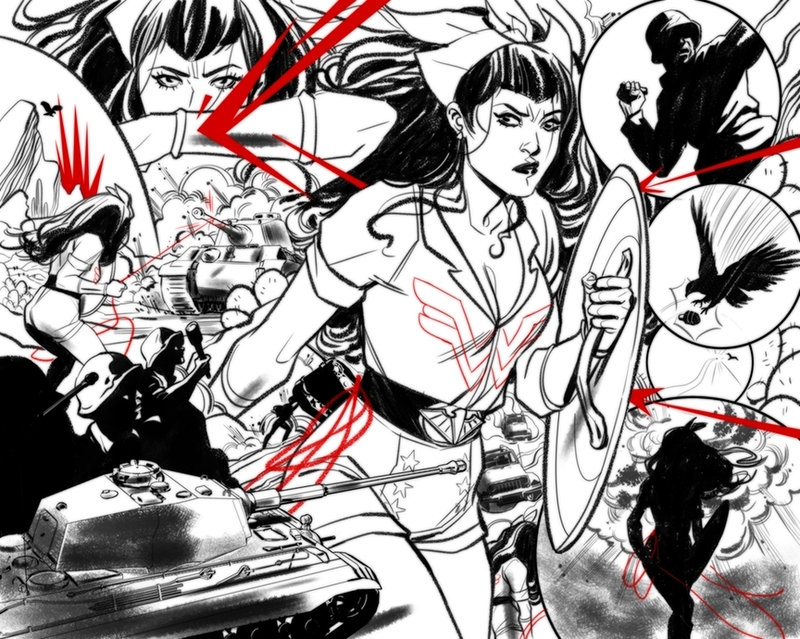 Reinterpreting many of the publisher’s most iconic female superheroes in both look and background, Bombshells set them against a World War II backdrop in an alternate telling of history. In the process, Wonder Woman, Batwoman and Harley Quinn were but a few to be granted wildly popular re-imaginings. Later this summer, the journey continues in Bombshells United, a digital first series much like its predecessor. Marguerite Bennett will continue to be the guiding hand, with Marguerite Sauvage providing interiors for the first arc. In addition to them, you can look forward to Terry and Rachel Dodson illustrating the cover for the inaugural issue. Sounds intriguing, eh? Another detail to take note of is that story arcs will now be structured to focus on one hero or a group of them, as opposed to bouncing back and forth between several in one issue. DC says this is “in order to dive deeper into each storyline,” which I have to agree with because as much as I liked the preceding series, I wished it’d have kept its focus on specific characters at certain points instead of jumping to others. The first digital chapter of Bombshells United will launch Friday, August 25, with new chapters available weekly. Print issues will collect two digital chapters each beginning September 6, shipping twice monthly.